Based on exclusive access to both the personnel and the archives of the Royal Netherlands Army Special Forces Regiment (Korps Commandotroepen), this book tells the unique history of the Dutch Green Berets and their operations in the post-Cold War era. With a focus on the Special Forces’ secret missions abroad – especially in Iraq, Afghanistan and West Africa – this narrative provides exceptional insides into the Dutch commando community, into the use of Special Forces in modern coalition warfare and into the challenges facing contemporary counter-insurgency campaigns. 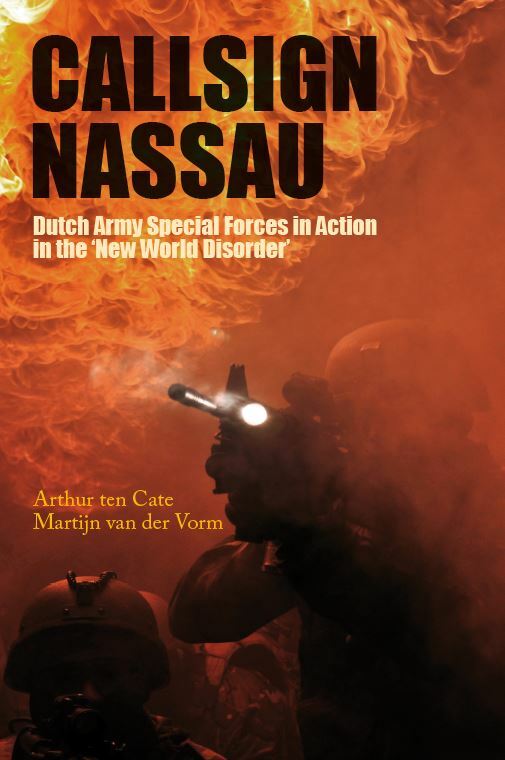 Callsign Nassau primarily conveys the story of how the Netherlands transformed its Army Special Forces Regiment after 1989 for use in international interventions. How this was done, along with where the Dutch commandos were deployed, is described in detailed reconstructions. Arthur ten Cate is senior researcher at the Netherlands Institute of Military History (NIMH) in The Hague. He specialises in contemporary military history, international military interventions and special operations warfare. Martijn van der Vorm is a historian specialising in irregular warfare and an officer in the Royal Netherlands Army. For the purpose of this book he worked for the Netherlands Institute of Military History (NIMH) and served in the Royal Netherlands Army Special Forces Regiment.